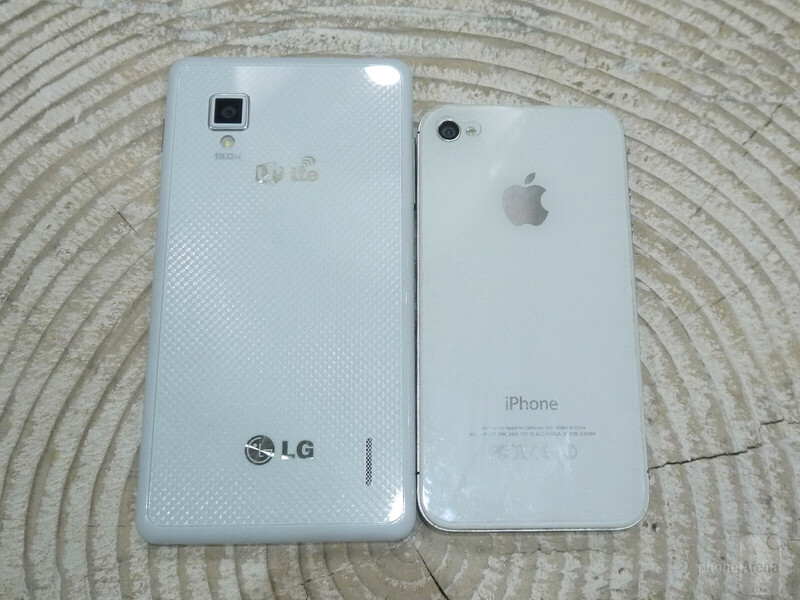 Note: This preview is based on our experience with the Korean version of the LG Optimus G. However, it is expected to be almost identical to the international version of the handset. Ever since we've had LTE and quad-core processors, we've dreamt of one thing – to have both of these amazing features in a single device! 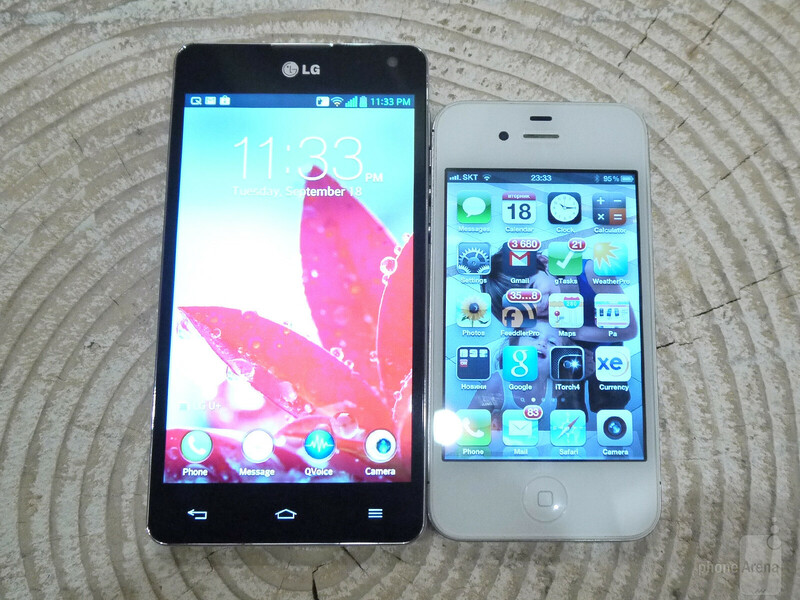 Thanks to LG and their latest flagship smartphone, the Optimus G, this is now no longer a dream, but reality. 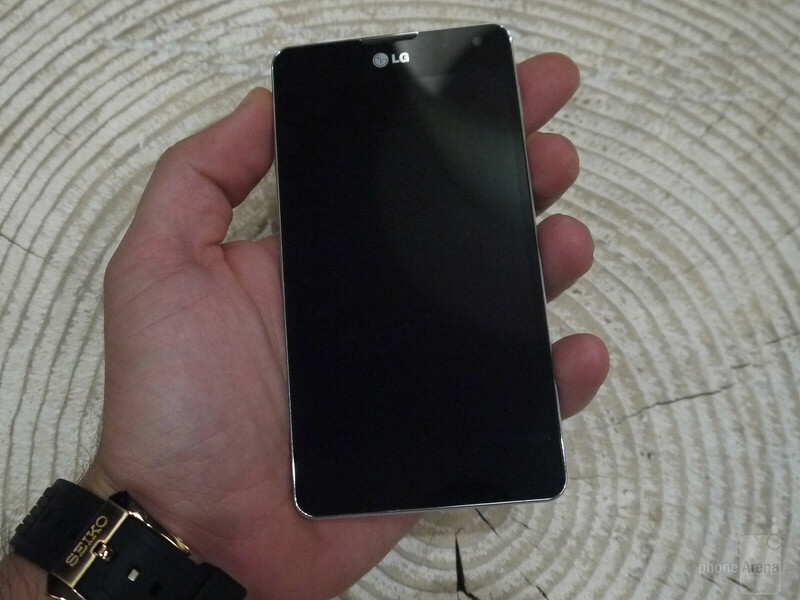 The LG Optimus G will be the first handset to take advantage of the super-powerful Qualcomm Snapdragon S4 Pro chipset, which makes having all of this technology in a single device possible. As a matter of fact, the Optimus G (in case you're wondering, the “G“ doesn't stand for anything specific) has been announced since a couple of weeks now, but today LG held an official introduction in South Korea, so we actually got a chance to play with it on the company's own turf. And boy is this thing fast! The Optimus G might as well be the fastest phone we've used to date. But we have a lot more to tell you about it. 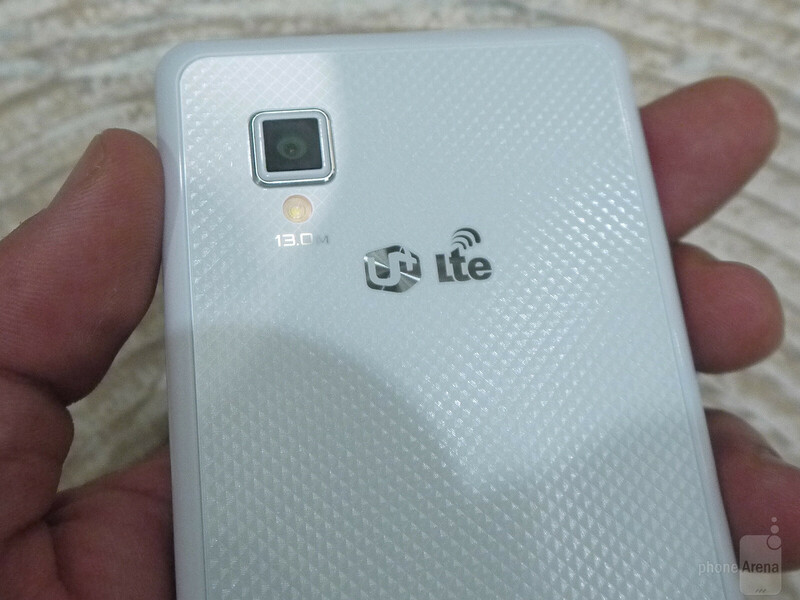 Read on to learn all the details surrounding this fresh and promising smartphone! It's easy to recognize the characteristic L-style design language in the LG Optimus G. Ever since the L phones and the Prada 3.0 came around, the manufacturer has been using this specific styling for its higher-tier devices, and we have to admit that we kind of like it. The mostly rectangular shape of the Optimus G, together with the overall simplistic nature of its exterior all lead to a classy and eye-catching appearance that's not that easy to find in the Android world. Although “simplistic” is the name of the game for the Optimus G, that doesn't mean that LG hasn't paid attention to the subtle details. Pretty much all the elements like the keys and the camera lens have been decorated with a stylish chrome-like trim, while a couple of screws at the bottom add a little sense of sophistication. 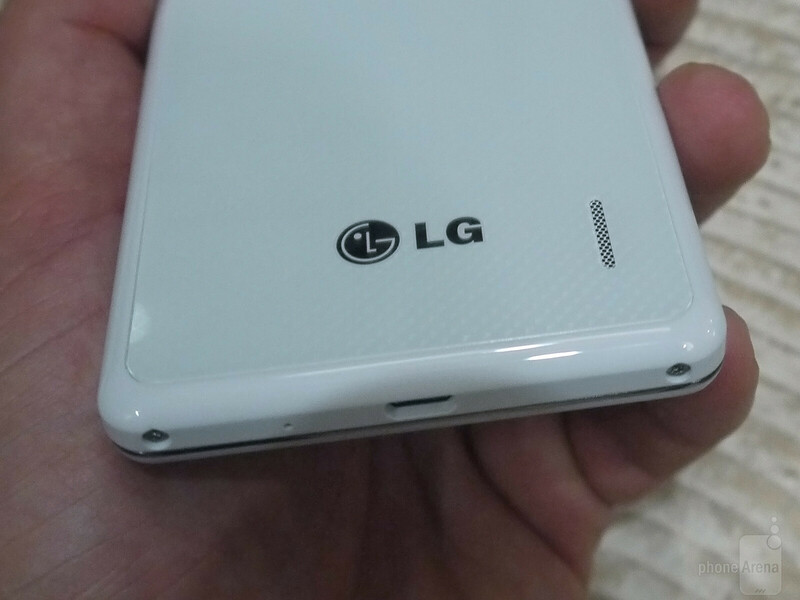 Probably the most intriguing part of the LG Optimus G's design, though, is its non-removable back cover. With the G, LG has tried to escape from its usual plastic designs, and has instead relied on something a little bit more premium – glass. We say “a little bit”, because the exact implementation in this case isn't anything mind-blowing, but it's still much-appreciated. 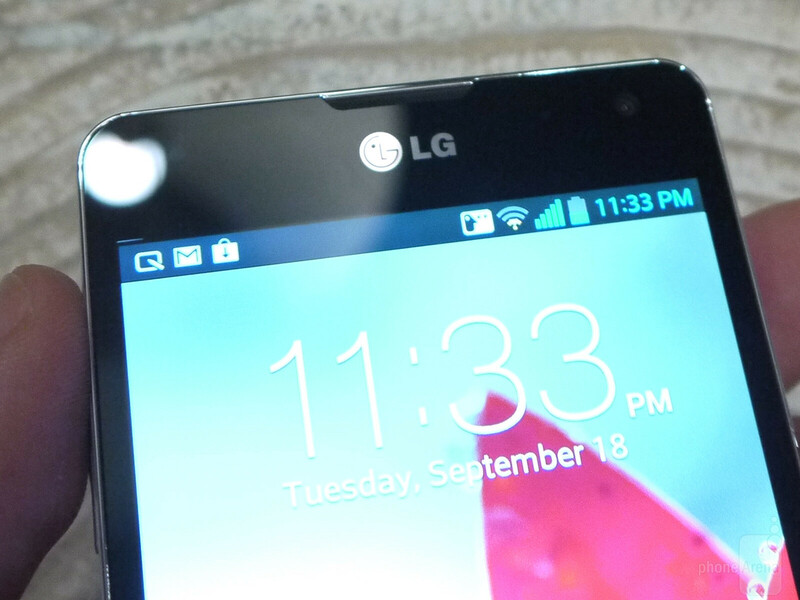 What's equally interesting about it is the specific finish, or pattern, that LG has used. The company is calling it Crystal Reflection, and has even patented it. The idea behind it is that it gives an interesting and different look to the back of your phone, depending on the angle at which light falls on it. In our opinion, the specific look of Crystal Reflection certainly isn't for everyone. It does make the phone appear somewhat fresh and eye-catching, but it isn't something we'd really care for. 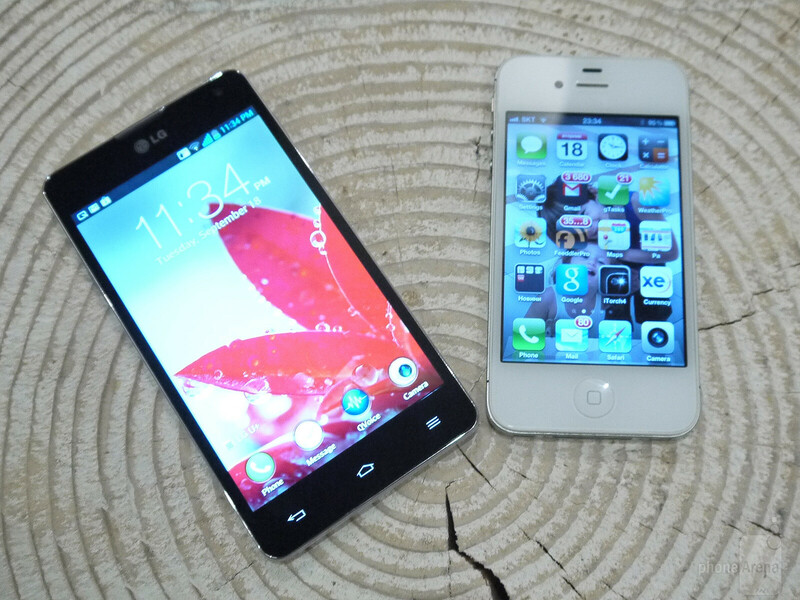 Overall, LG has designed the Optimus G very well. Even though it sports a very large 4.7” display, it sits relatively comfortably in the hand, thanks to LG trying to shrink the bezel as much as possible. 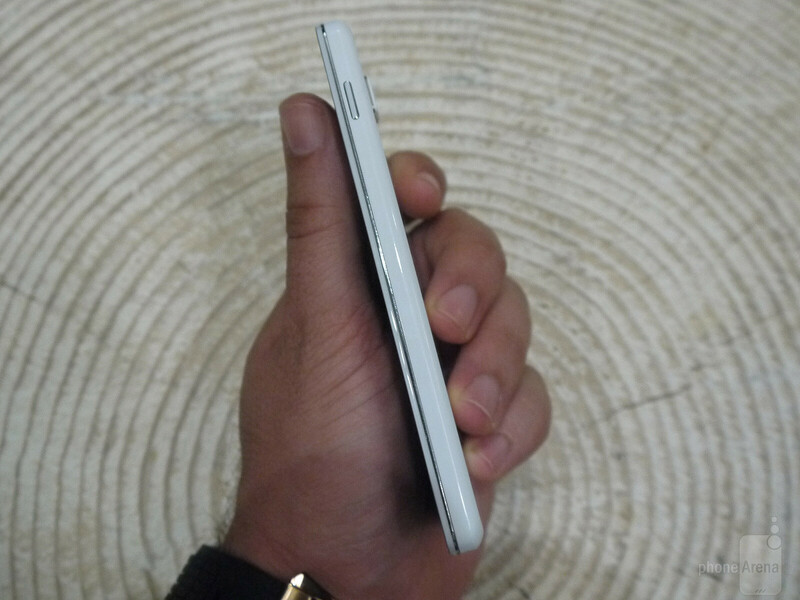 And the company's designers have really done a good job, seeing that they've managed to make it slightly shorter, narrower and even thinner than the HTC One X and Samsung Galaxy S III. The Optimus G features a gorgeous 4.7” display with an ultra-high resolution of 768x1280 pixels. All of this makes for a beautiful pixel density of 318 ppi, which is slightly higher than that of its rivals. As we said, the screen is gorgeous. It uses the in-cell touch technology (also present in the iPhone 5), which allows for even more saturated IPS-LCD display. We really like these colors, because they are very vivid and lively, but also quite natural. Color temperature seems to come extremely close to the real deal, but it should be noted that the display obviously isn't the brightest one around. Not that it lacks in brightness, but it's not dazzling either. The viewing angles of the screen are also quite impressive. 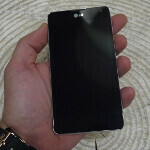 What we didn't like about it, however, is that it seems to lack any sort of fingerprint-resistant coating. Once we started using it, it was immediately covered in nasty fingerprints, kind of marring the device's pristine look. It's worth noting that we've been using a pre-production unit for this preview, so with a little bit of luck, things might stand differently in the final unit. When it comes to toughness, though, LG has made sure to include Corning's Gorilla Glass 2 for extra sturdiness and scratch-resistance. Nice phone but bad camera. No thanks. do you see 8 or 13 megapixels, stated? Megapixels do not mean jack with a sensor that small. Did you see that nighttime photo? Looked as bad as my Razr lol. You're right, those who have any knowledge of technology, either in a phone or real camera, already know that MP doesn't mean squat without a good lens. thank you for knowing what you're talking about. I think the guy didn't wipe the lense before he took photos. Check GSMArena's...The photos are amazing!! Sorry but I have to agree with him. The camera looks bad. Given the fact that they're using a 13MP camera sensor. They could have made use of a better software and algorithms to reduce noise. G is a high-end device that deserves to be the best in every aspect. But the images captured with it shows an average quality shots. They could have made it better, besides it's one of the major aspects of a smartphone. But nonetheless, the phone is a beast. 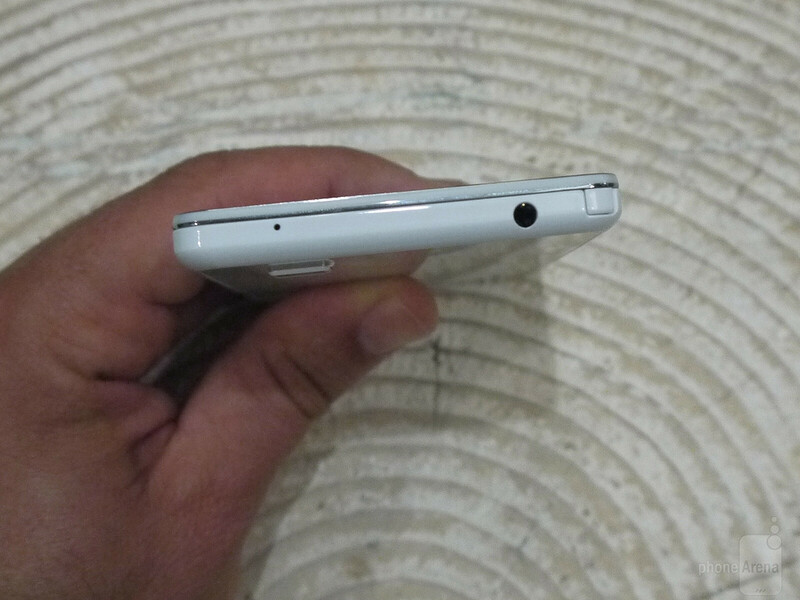 The 808 Pureview's sensor is nearly 7 times larger. I think a bigger sensor would make the overall phone thicker. To shine enough light on a larger sensor would mean greater distance between the lens and the sensor. Simple physics. The problem isn't the sensor. The problem is the lens. The lens has to have more depth to feed the larger sensor which increases the phone's thickness. Talking about what's not good...camera is good enough. 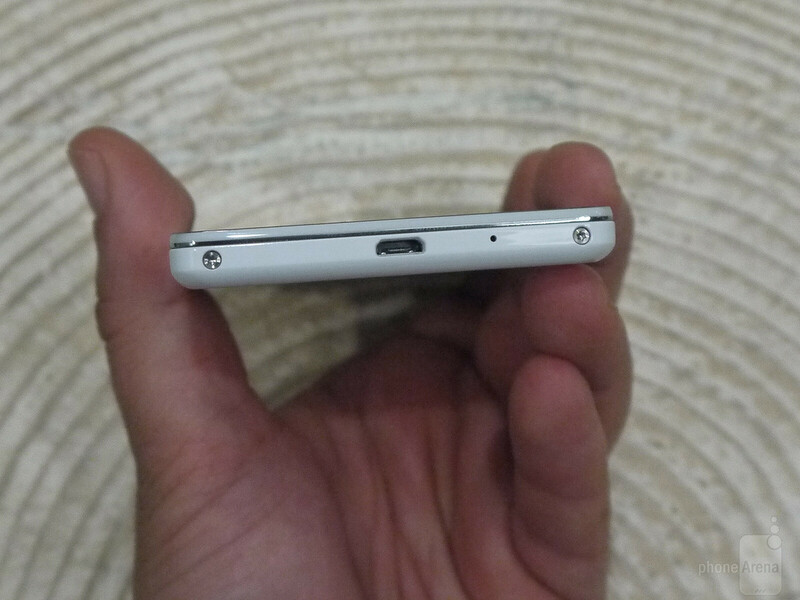 What's not, is the non-removable battery and no micro SD slot. Sure non-removable battery is already a standard issue but it feels like the stuff is a disposable one. Like one of those use and throw disposable cameras we used to have. Samsung Galaxy S4 will be 2GB Ram, 128GB memory, 12mp, etc. 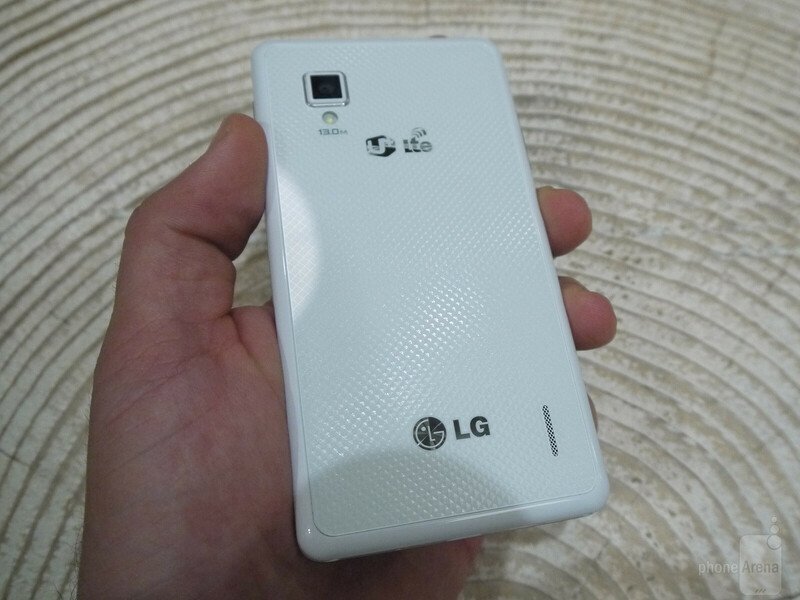 will beat the new LG Optimus in 2013. What year are you living in? it's apparent you don't know what you're talking about. got any more of what it was you smoked for me? geez. From the image samples, the camera performs better in low-light situations than the iPhone 4S, which is a high performer itself. Any info about the phones specs in the US. I bet they will use the 8970T for the US. the camera lens should have been cleaned more.... the best shot comes from the clean condition. It does say PROTOTYPE. Give it a chance, man! I would love to see LG use their 1080p 5 inch screen. But that's just me. Very bad camera. I bought it thinking the 13 megapixels would just be a huge improvement on my 5 mp HTC Shift. No crispness to any photo. Fuzz ball once you zoom in at all. I was absolutely shocked. I loved the phone side. Very fast, well put together, decent battery life and just a nice looking screen. But the pictures just shocked me. I went back in figuring I'd get a new phone and the gal at Sprint told me they looked fine. I took a picture with my old HTC, showed it to her zoomed in and compared it to one we took in the store. We then went to a display phone to see if it did the same. Exactly as bad. On top of that I actually do shoot kids ice hockey pictures with a Canon so I wasn't expecting a lot out of a phone but this thing is woefully inadequate. Trying to Google some opinions on the bad camera in this phone seems to be a problem so I was really thinking I had a bad phone. But I guess the search is disabled for problem searching or no one has a clue. A shame too as I ended up with the new HTC One and there's not a lot of difference other then the camera is great on the HTC. When LG released the LG G2X (Optimus 2X). It was touted as the most powerful phone ever. However, there are other things to consider when getting a phone. The G2X suffered from rebooting and freezing issues. Also, the carriers in the states haven't updated it to Ice Cream Sandwich. I can only hope that LG has addressed these issues with this phone, however I'll never buy a LG phone again. That's not really big at the moment. Nokia seems to be the first to push it.